December 9th is the International Day of Commemoration and Dignity of the Victims of the Crime of Genocide. It commemorates the adoption by the United Nations of the Convention on the Prevention and Punishment of the Crime of Genocide in 1948. On this 68th Anniversary of the Genocide Convention, it is a stark reminder that the world still lags behind the ambitious goals envisaged by not only Raphael Lemkin but also the signatories to the convention. Over the past few months, the United Nation’s Office of the Special Adviser on the Prevention of Genocide has issued warnings on the current state of affairs in South Sudan, Aleppo, Syria and Northern Rakhine State, Myanmar. In a rather ironic twist, we have grown accustomed to debating whether a conflict is a genocide or not, rather than working together to stop genocides from unfolding. Despite clear and early warnings about the possibility of a genocide unfolding, there is still a yawning gap between how events unfold, and our response to ending/curbing human suffering due to conflict. This column has been talking about South Sudan and the renewed hostilities between former political allies that have had deleterious effects on the civilian population. It has also pointed out the extent to which the state is abdicating its responsibility to ensure that there is some level of stability in the young nation. 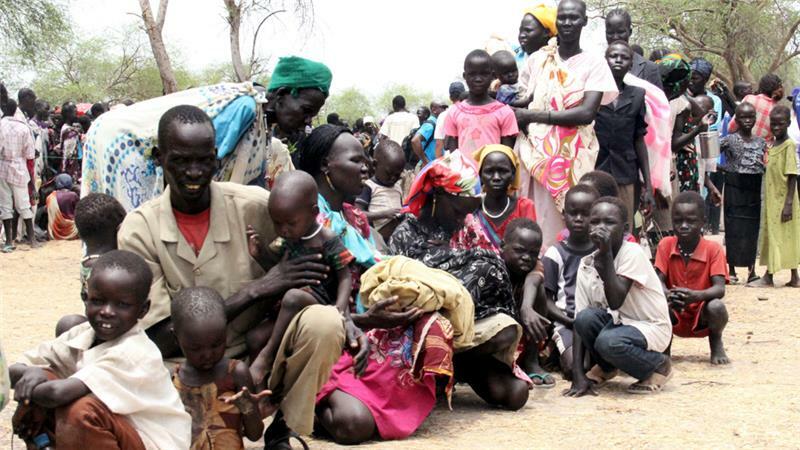 Actions by the United Nations such as the push for an arms embargo against the South Sudanese state, have come extremely late in the process. Some view it as yet another action to signal ‘concern’ that often accompany conflict in Africa, even more so when we consider that calls for an arms embargo have long been made by observers of South Sudan. Yet it is only when the term genocide was used that the United States stirred itself from its deep slumber and sought to push for an arms embargo. It is almost as if the deaths of South Sudanese does not count unless the term genocide is used and even then, the world engages in perfunctory shows of concern without really engaging in meaningful actions to end suffering. As we celebrate the anniversary of the genocide convention, it is incumbent on us to think about what the convention actually achieves. Does it help us identify what conflicts may be genocidal? Does it help us define the circumstances that should push us to intervene? Who is allowed to intervene and how should they intervene? This weekend, as we think of this important declaration we must question whether this is how Raphael Lemkin envisioned responses to preventing and ending genocides. In other words, how would we respond to Lemkin today if he asked us why we let South Sudan, Aleppo, Rakhine State or Burundi unfold the way they have? Wahutu Siguru is a PhD candidate in the Sociology department at the University of Minnesota. Siguru’s research interests are in the Sociology of Media, Genocide, Mass Violence and Atrocities (specifically on issues of representation of conflicts in Africa such as Darfur and Rwanda), Collective Memory, and perhaps somewhat tangentially Democracy and Development in Africa.